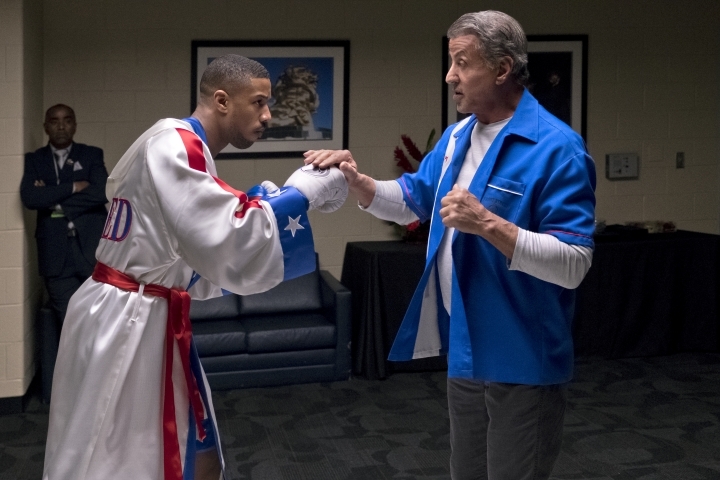 "Ralph Breaks the Internet" and "Creed II" took the top two spots on the North American charts, beat the openings for the original films and helped the five-day Thanksgiving box office totals cross the $300 million mark for the first time ever. Its five-day Thanksgiving grosses are the third highest of all time, behind "Frozen" and "Hunger Games: Catching Fire." Third place went to Illumination Entertainment's "Dr. Seuss' The Grinch," which earned $30.2 million in its second weekend, and just barely beat out the "Fantastic Beasts" sequel, "Crimes of Grindelwald" ($29.7 million) which is also in weekend two. 1. "Ralph Breaks the Internet," $55.7 million ($41.5 million international). 3. "Dr. Seuss' The Grinch," $30.2 million ($7.6 million international). 4. "Fantastic Beasts: Crimes of Grindelwald," $29.7 million ($83.7 million international). 5. "Bohemian Rhapsody," $13.9 million ($38 million international). 7. "Robin Hood," $9.1 million ($8.7 million international). 10. "A Star Is Born," $3 million ($3.5 million international). 1. "Fantastic Beasts: Crimes of Grindelwald," $83.7 million. 2. "Ralph Breaks the Internet," $41.5 million. 3. "Bohemian Rhapsody," $38 million. 4. "A Cool Fish," $25.1 million. 6. "Johnny English Strikes Again," $12.2 million. 8. "Robin Hood," $8.7 million. 9. "Dr. Seuss' The Grinch," $7.6 million.